News by Britta S., Ginny W., Lindsay M., and Matt S.
Comcept was founded in 2010 by Mega Man creator Keiji Inafune. Since its inception, the developer has put out a half-dozen titles; the most notable are also the most recent, Mighty No. 9 and ReCore. 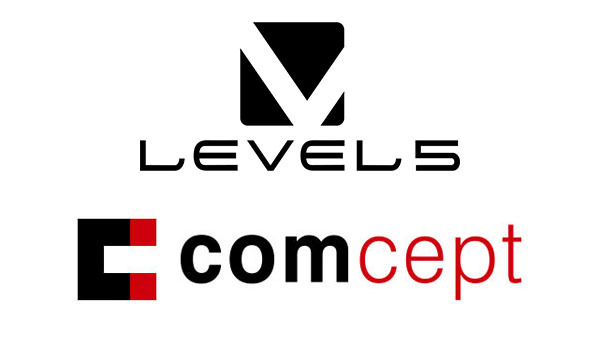 Last week, it was announced that Level-5 (Akihiro Hino, CEO) has acquired Comcept and created a new subsidiary with it, names Level-5 Comcept. Comcept’s Tokyo studio will be closed after completion on all pending projects, with the team now working from Level-5 Comcept’s Osaka office. There are currently 15 staff members, with that number expected to increase as the company becomes Level-5’s dedicated Osaka studio. Level-5 has a vast development portfolio, including Ni no Kuni, Professor Layton, Yo-kai Watch, and my personal all-time favourite 3DS game, Fantasy Life. I did not indulge in Might No. 9 but did enjoy ReCore to a degree, and I’m extremely interested to see where this partnership will go in the future. For now, the new company’s debut will be Dragon Colonies, a mobile game set to release next year that focuses on player-versus-player battles across miniature colonies. Just recently I reported on sandbox RPG Kynseed by two ex-Lionhead Studios developers and wouldn’t you know it, along comes another new game developed by ex-Fable developers. Good on these guys for not letting their talent and expertise go to waste! For this card battle game, Flaming Fowl studio – together with Mediatonic – received license to use the world of Fable, Albion. It is a Microsoft exclusive and will only launch on PC (Steam Early Access) and Xbox One (Game Preview) on July 11. Fable Fortune offers both PvP and local co-op mode. You have a choice of six heroes, and based on the choices you make – turning them towards a good or evil path via the Alignment mechanic – you can change your heroes’ abilities during the game. There is also “family-friendly necromancy” promised, a phrase that reflects the type of humour wafting across from the trailer (below); it’s less the boisterous, raucous humour of Hearthstone and more a British, Monty Python-style irreverence. Ooblets is the adorable brainchild of Glumberland, a two-person studio with only that title to its name. If it reminds you a little of the aesthetic behind the charmingly globular Slime Rancher, that’s probably an intentional association. E3 2017 was the first time that Ooblets was shown off as a playable demo, and the reception was nothing short of rapturous. At first glance, it’s very much a slice of life game. Leading up to E3, co-creator Rebecca Cordingley had gone on a number of tweeting sprees to show off screenshots from the game and to keep intrigued fans in-the-know about how everything was going. Those early looks at Ooblets revealed a comprehensive appearance customisation mechanic, as well as the star of the show – the ooblets themselves. Ranging in appearance from decidedly botanical to cute and critter-like, they act as travel companions for players adventuring through the overworld, and even have a place in your own backyard. If you loved Animal Crossing, it’s likely that you’re going to have a whale of a time with Ooblets. You can decorate a cosy little house, tend to a garden that’s teeming with ooblets and get acquainted with a cast of characters who all bring a little something special to the table. There’s something in there for Pokemon fans as well; your ooblets can duel each other to the point of unconscious. Here, the victor receives a seed from the loser, allowing you to go home and raise that seed into a stronger, better, faster ooblet in the future. It’s a cute breeding mechanic, and one can already anticipate the sheer variety of ooblets out there, just a few steps away. The title is slated for a 2018 release date on Xbox and PC, and those of us who can’t get enough right now can follow the development process on Cordingley's Patreon! This trailer arrived a little late for our E3 coverage last week, but we had to highlight anyway, because Kalypso’s Dungeons 3 looks like all kinds of fun. Unsurprisingly it is the sequel to Dungeons 2, but promises a host of enhancements to take that already-good-fun game and really make it fly. What really catches my eye is the random levels. The previous Dungeons was already a meaty, quality game, but if Dungeons 3 can do random level generation in such a way that the game doesn’t starts to feel generic… well, it’ll be right up there with my favourite strategy games. This one launches in Fall (Spring in the southern hemisphere) for PC, Xbox One, and PlayStation 4.